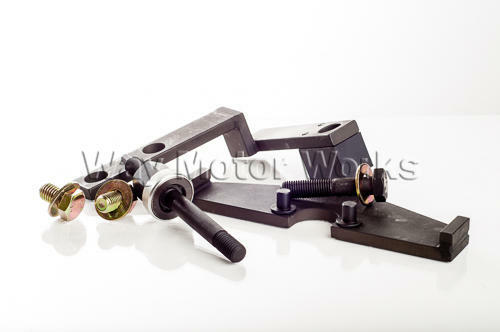 Timing Tool Kit for 2002-2006 R50 R53 MINI Cooper and Cooper S, and R52 MINI Convertible. 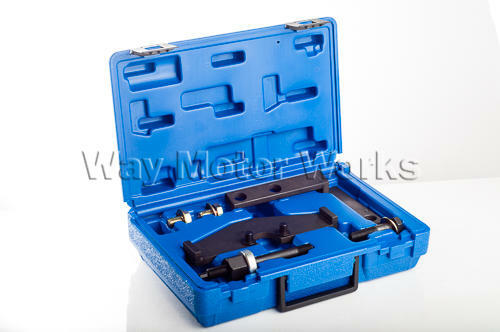 If you are going to replace the cylinder head, or timing chain on your MINI this is a must have tool kit. This kit has the lock that holds the camshaft to loosen the camshaft sprocket bolt and tighten it. Also has the mount and bolts to hold the engine while the passenger side engine mount is off the card. Then the kit also has the tool to reinstall the crankshafter pulley if you have to remove it to check the timing or replace the chain.